Recent Rotary Fellowship Events – Hitting the Open Road! Pictured above, the Motorcycle Fellowship Group is crossing the Wisconsin River on the Merrimac Ferry. Our club’s Motorcycle Fellowship Group headed out on the open road on Sunday, July 27, for LaFarge, Wisconsin, and the Rockton Bar’s World Famous Chicken Feed. Located in the heart of the beautiful Kickapoo Valley, on scenic Hwy 131 between Ontario and La Farge, the Rockton Bar is a favorite destination for hungry and thirsty patrons, especially motorcyclists in Wisconsin. The group rode through the amazing countryside of the Driftless region and enjoyed a great meal of BBQ chicken and fixin’s with great conversations and a positive Rotary experience! Thanks to Jeff Bartell for organizing this event. 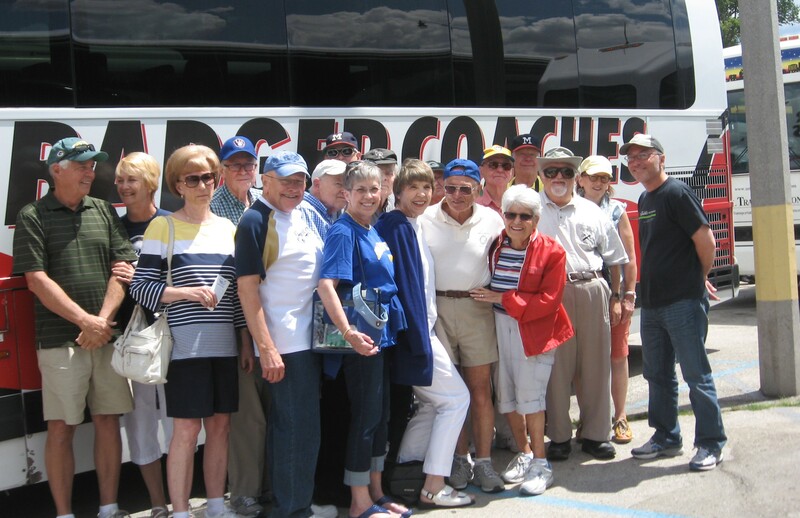 Our club’s Baseball Fellowship Group boarded a bus on Sunday, July 27, for Milwaukee to see the Brewers take on the New York Mets. Final score: Mets 2, Brewers 0. 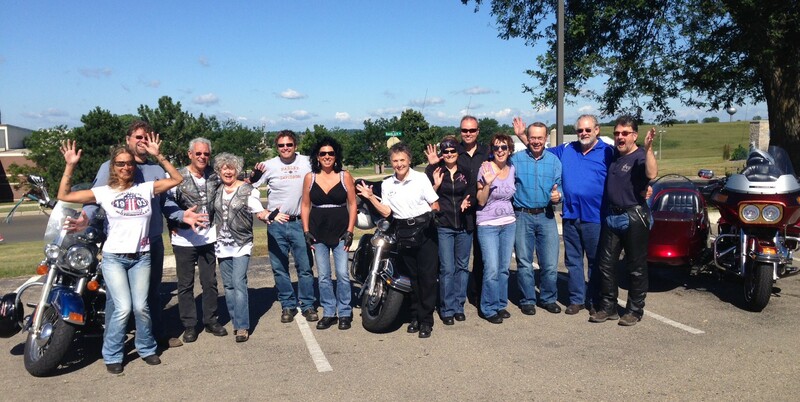 On August 17 and 18, the Rotary Motorcycle Fellowship Group went on a two day, three state ride. We started at The Pancake Café in Fitchburg for breakfast and coffee. There were twelve of us (Jeff & Angela Bartell, John Bonsett-Veal, Dave Billing, Dave Boyer, Peggy Lescrenier, Peter Cavi & Amy Conover, Tom Solheim, Uriah Carpenter, Todd Weis and Jan Bonsett-Veal) on ten motorcycles and one “chase vehicle” driven by my wife, Jan.
We traveled over beautiful driftless region roads in southwest Wisconsin on our way to lunch at Zio Johno’s in Anamosa, Iowa, the home of the National Motorcycle Museum, which was amazing. After more riding, we wound up at the Super8, in Savanna, Illinois. That night, we all went out for a great meal to a “Motorcycle Enthusiast Bar” (Biker Bar) called Poopys. On Sunday, we stopped at Galena, Illinois, for a breakfast/brunch buffet at a restaurant in one of the local hotels in downtown Galena, after which we stopped at Hauge Log Church for sightseeing, a photo session, saying good-byes and thanking the organizers, Dave Billing and Dave Boyer. Dave and Dave did a great job, and we had a wonderful time!